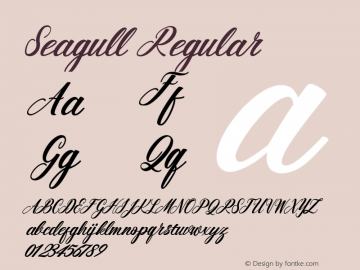 Seagull font family series mainly provide Regular and other font styles. 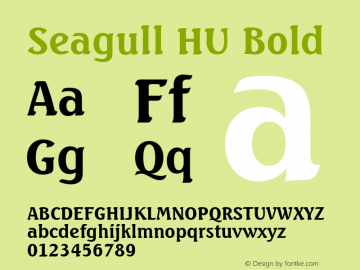 Seagull HU font family series mainly provide Bold and other font styles. Seagull-Md font family series mainly provide Regular and other font styles. 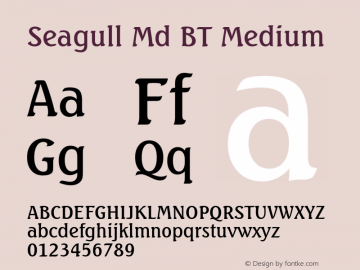 Seagull Md BT font family series mainly provide Medium and other font styles. 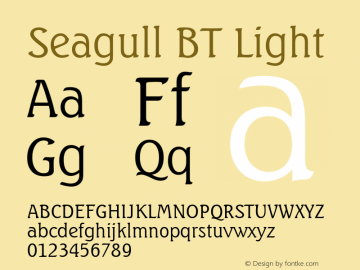 Seagull Hv BT font family series mainly provide Heavy and other font styles. 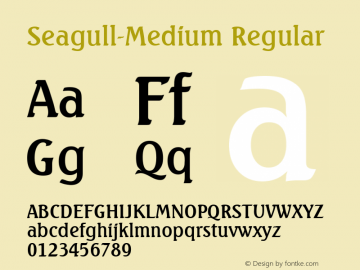 Seagull-Medium font family series mainly provide Regular and other font styles.